The AESSEAL® API Type A, B and C single-seal range offers the user an unprecedented range of API engineered sealing solutions to suit all application requirements. 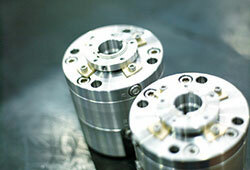 This modular seal is ideal for the containment of hazardous process fluids. These robust seals are designed for use on difficult applications, including oil pipeline pumping, water injection and boiler feed duties. The CSM™ cartridge single seal for mixers is available in a wide range of seal face, elastomer and alloy combinations, to suit individual applications. The DMSF™ (Double Monolithic Stationary Flow) range of double mechanical seals has been designed as a high-performance sealing solution for arduous applications. A single cartridge stationary seal with modular monolithic seal faces.